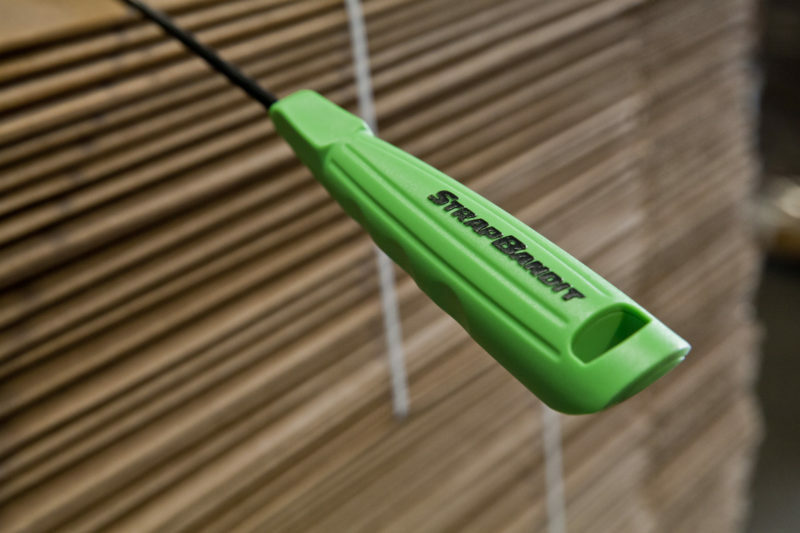 StrapBandit is a light, flexible hand tool designed to make the pallet threading process faster, safer and better. 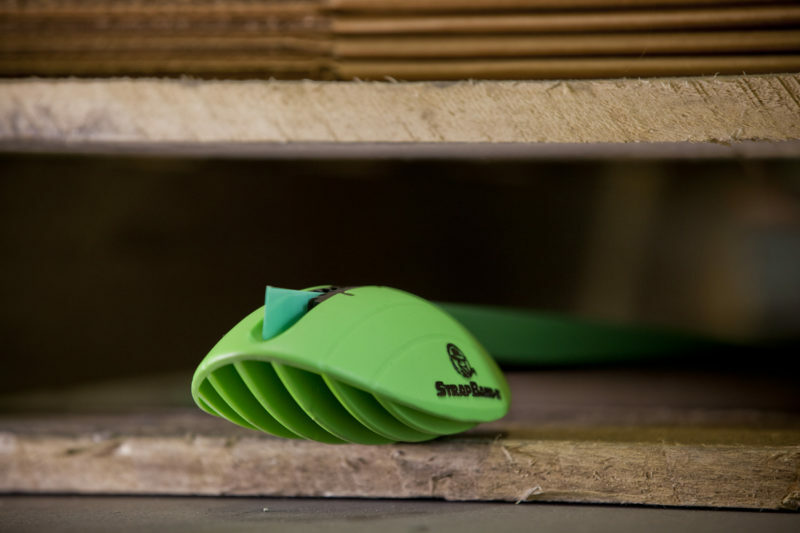 It’s fast and securely holds the strapping . It never gets stuck or stopped. It can be used while standing up. It’s made of high impact nylon with a durable and flexible polyurethane cleat and a highly flexible fiberglass rod. StrapBandit works with all types of plastic and corded strapping. This strapping feeder is very useful and easy to use. 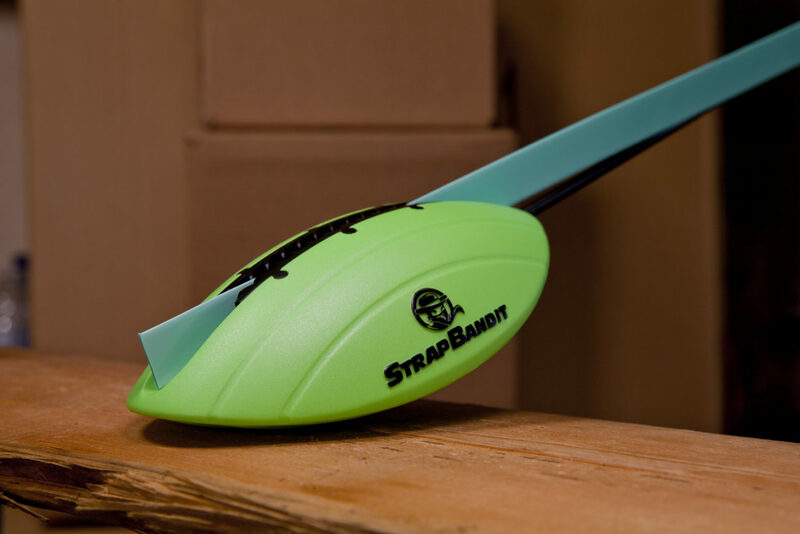 The Strap Bandit is a clear improvement on a process that everyone in shipping does all the time. The pole is flexible, so you don’t have to bend over to thread the pallet. 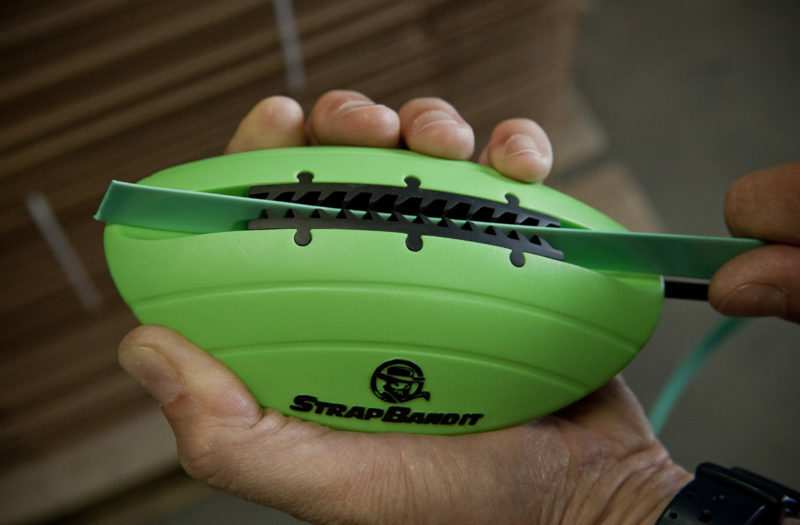 The green football on the front easily maneuvers around stringers and boards.